David Wagner insists Huddersfield must stick together and not panic if they are to climb off the bottom of the Premier League table. The Terriers, who go in search of their first win of the season against Fulham on Monday Night Football, are rooted to the foot of the table having failed to win any of their opening 10 matches this term. Huddersfield host a Fulham side also struggling for form with boss Slavisa Jokanovic under mounting pressure following five consecutive defeats in all competitions. Wagner's side have not won in 14 Premier League matches, a streak stretching back to last season, but Huddersfield chairman Dean Doyle has insisted his head coach will not face the axe, even if the Terriers are relegated. Wagner lauded the support from above as pivotal to standing a chance of turning their campaign around. "Over the last three years, and the starting point that we had, this has created a relationship (with the board) where we know we can only continue to be successful if we stick together, and if we have the right thing in our head," he said. 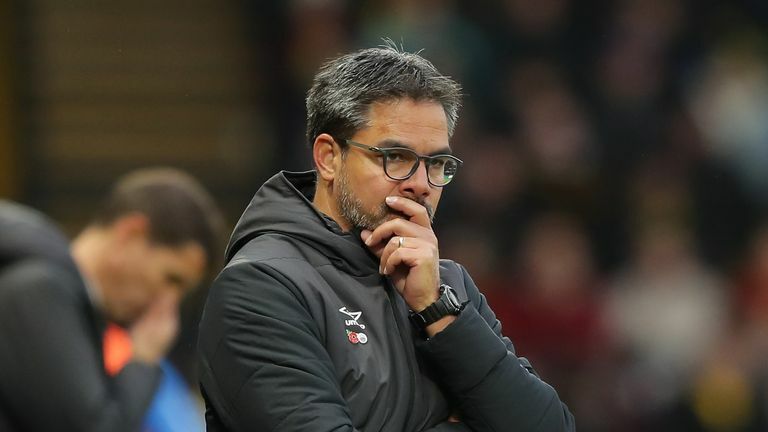 David Wagner believes Monday's game against Fulham is a 'big opportunity' for Huddersfield to get their first win of the Premier League season. "Showing that commitment is what it is all about, and that we stay together. This is one of the advantages we have at this football club, that we stay calm even if we are ambitious. "This is something we have shown in the past, and I'm a strong believer that when you start to get nervous or panic, then you will fail. Life will continue after Monday whatever happens, but it is a very important game." Huddersfield will hope to ease their scoring woes, having found the back of the net just four times this term, against the league's worst defence. Fulham have already conceded 28 goals on their return to the top division, winning only once, and leaving Jokanovic's position on rocky ground. But Wagner added: "He (Jokanovic) has done an incredible job at Fulham in the last years. "He has found a style which is, without a shadow of a doubt, very attractive, and everybody knows what a well-respected good manager he is. "For us, it is important we make sure we are at our best, and we are at home so this has to be the atmosphere which a six-pointer deserves."